species in your pollinator mixture. restore and/or manage for pollinator habitat. • The value of Honey Bee pollination to U.S.
and growing seasons for the best results. world rely on pollinators for reproduction. insects, birds, bats and other animals. dependent upon pollination by animals. 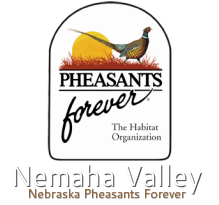 Habitat = Great Pheasant and Quail Habitat!